While our latest collaborator has been creating #beyondthebeige fabrics and wallcoverings for almost a century, their collection is arguably more relevant than ever before. Like many, our infatuation with Scalamandré began when we first met eyes with their iconic leaping Zebras. This historic and lively depiction of prancing zebras fleeing a hunter's arrow has cemented itself in the popular imagination. The signature backdrop, first developed for Gino's Restaurant in a marinara sauce colored red, has appeared on the big screen in Mighty Aphrodite and The Royal Tenenbaums. 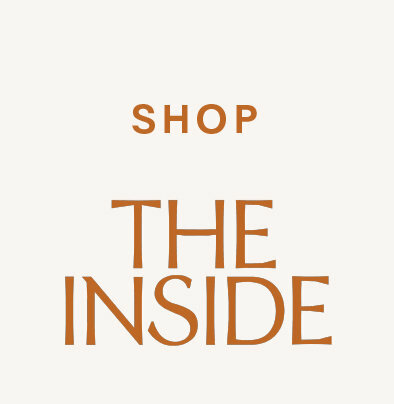 What's most exciting about Scalamandré, though, is the depth and breadth of their library, which includes everything from serious cut velvets to lighthearted conversationals. In celebration of our partnership with the legendary textile stockist, we're looking back at some of our favorite Scalamandré moments. 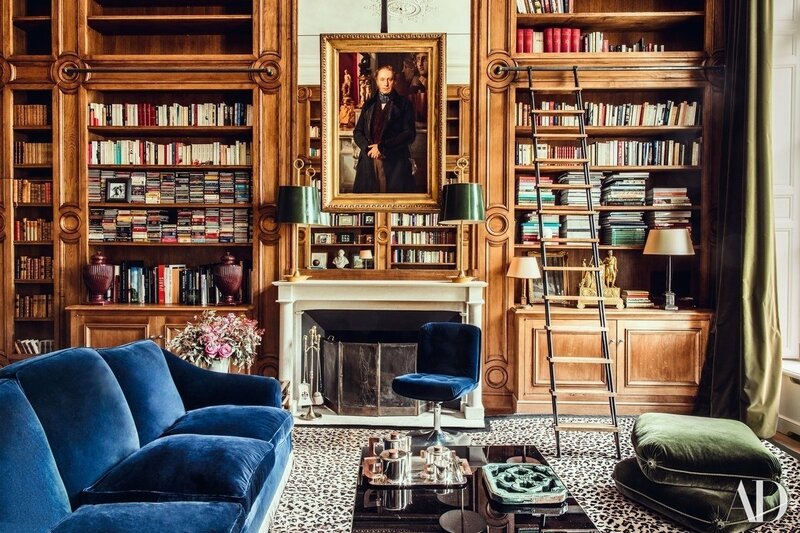 This Parisian library boasts a vintage sofa and 1970s chair upholstered in Aldeco cotton velvets from Scalamandré. We love how these luxe velvets introduce memorable hits of blue and green into a space that's otherwise dominated by its wooden features. When we spot a sofa in tiger velvet, we immediately think of Lee Radziwill. The style icon made us fall in love with this Scalamandré fabric, and designer Melanie Turner has us taking a second look. Tiger stripes set the tone for her fresh take on this Atlanta living room, especially when set against a backdrop featuring contemporary pieces by a Dutch photographer and a Danish painter (both of which nod to the Old Masters). 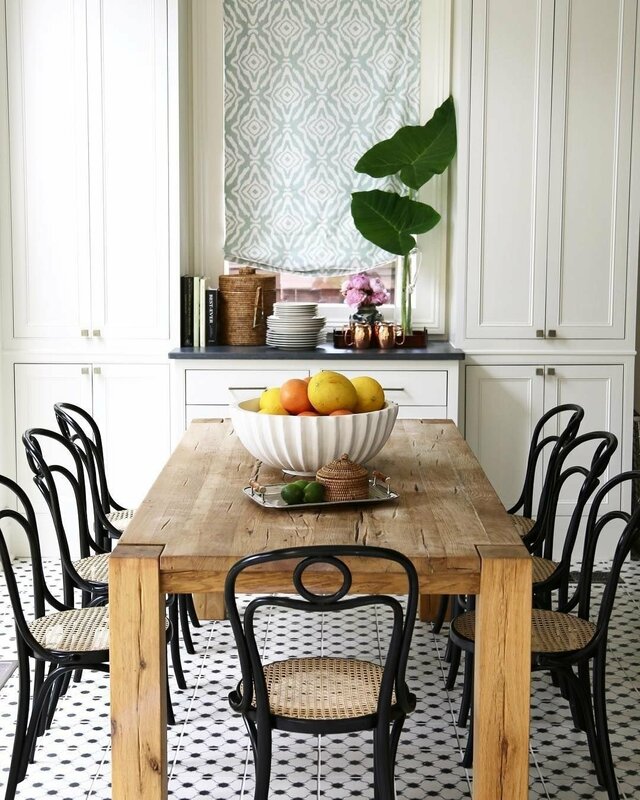 When looking to add the perfect pop of pattern to this dining area, New Orleans-based designer Shaun Smith turned to Scalamandré. We love how the fabric enhances his mix of old and new, sleek and warm. We love twin beds that make a statement (more on that here). 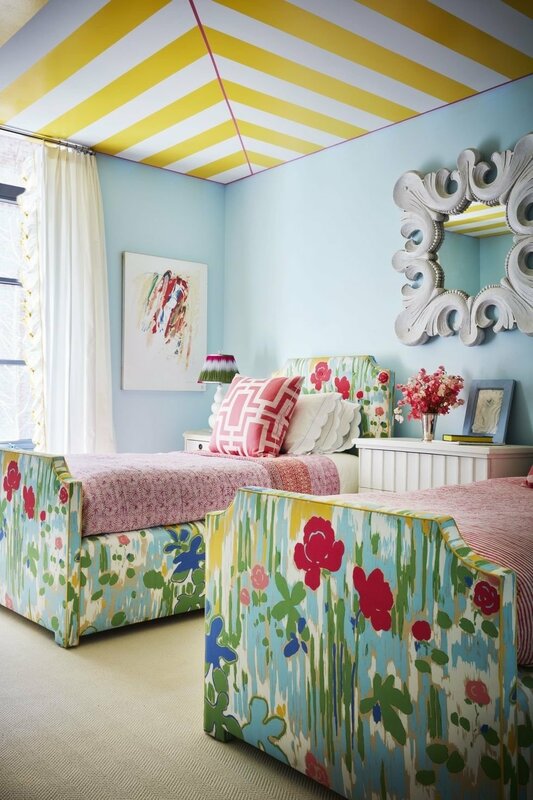 In this bedroom by Nick Olsen, a cheerful pair of twins steals the show. They're upholstered in "La Fenetre Ouverte" (translation: "the open window") by Scalamandré—a whimsical floral that has us longing for springtime. 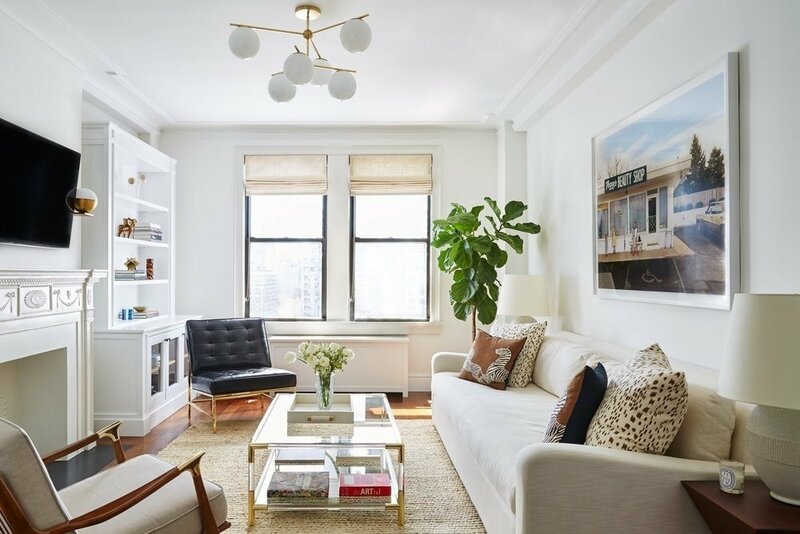 An up-and-coming interior designer who is also a Vogue contributor and founding member of The Wing, Ariel Okin knows how to artfully place patterns of the past into spaces of the present. Case in point: this Upper West Side apartment that features throw pillows in Scalamandré's Safari Brown Zebra fabric. The zebras offer a lighthearted and relevant twist to the edited living room. Every room needs bit of unexpected pattern. 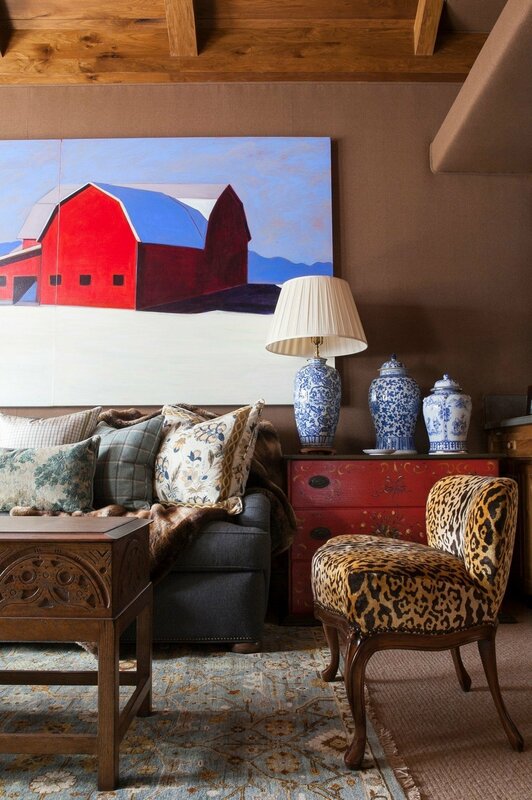 In this traditional Vail ski home, Scalamandré's Leopardo Silk Velvet offers that element of surprise. We're obviously obsessed with the Frog chair on which the fabric rests. Très chic. Designed by Miles Redd, this kids' bath feels playful yet sophisticated. 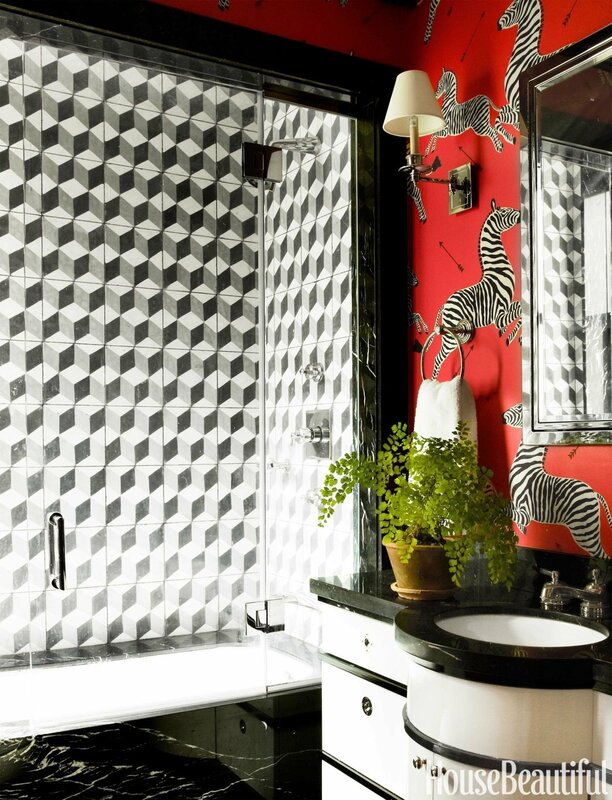 We love how Redd juxtaposes the bouncing zebras with the sharp lines of the Escher tiles. It leaves us dreaming about creating a cube and zebra mix of our own. 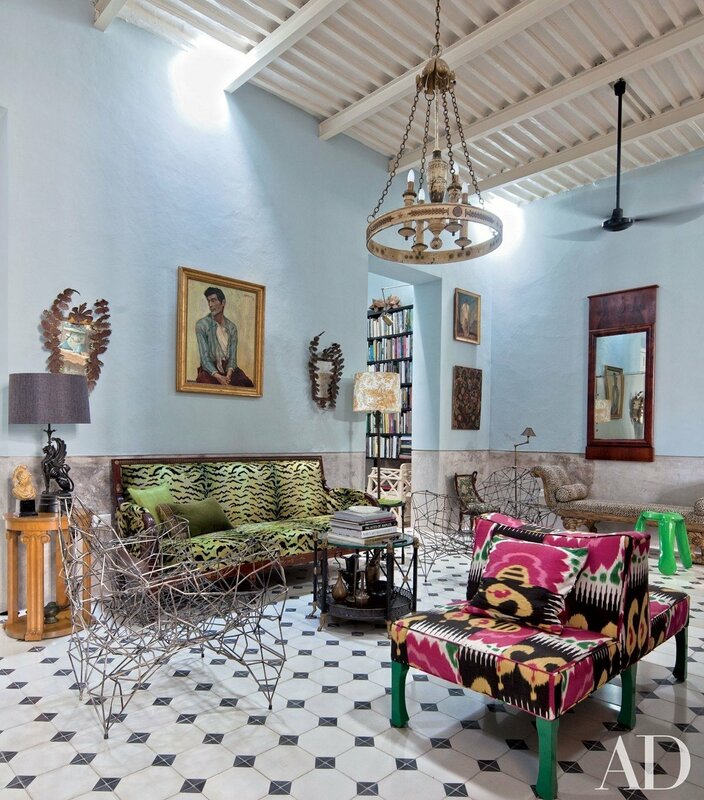 The Mexico retreat of two LA-based antique dealers is a collected medley of old and new—a case of both spontaneous decoration and controlled restraint. 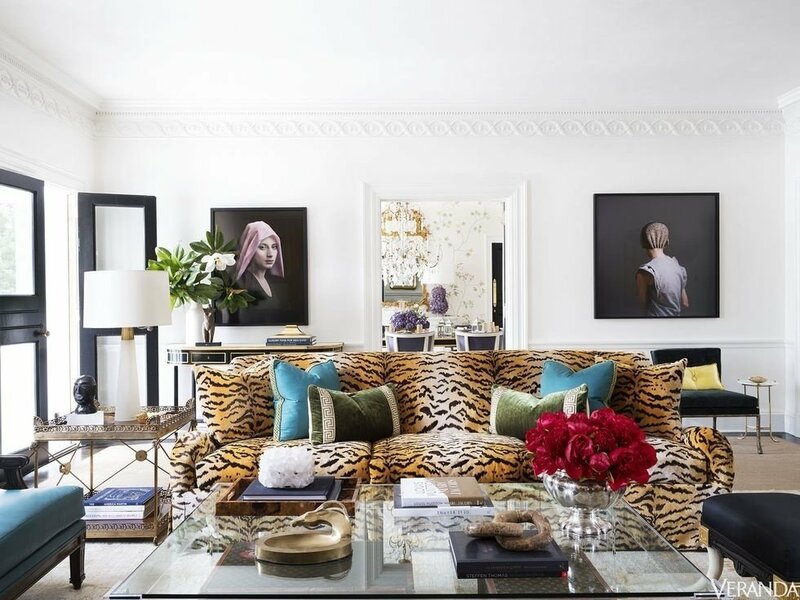 Their antique Jacob-Desmalter sofa is upholostered in, unsurprisingly, the iconic Scalamandré tiger velvet. How about that green?! This is not your grandmother's beach house. 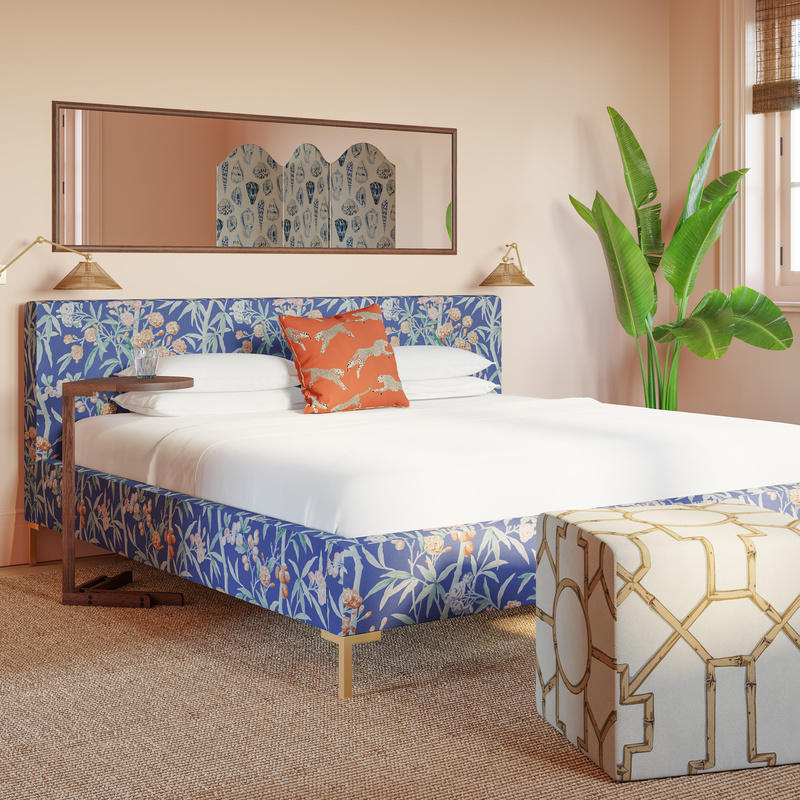 This stylish, tropical (but not too tropical) bedroom features a Modern Platform Bed in the ultra-cool Lapis Lanai by Scalamandré, along with a Cube Ottoman in the timeless Tan Baldwin Bamboo, a Throw Pillow in the never-before-seen Henna Cheetah, and a Scalloped Screen in Porcelain Coquina. With designs at the Kennedy White House, Hearst Castle, and The Metropolitan Opera, Scalamandré will always hold a prominent place in interior design history. Yet there's something about this collection of rooms and their idiosyncrasies that reminds us how, when mixed in new and interesting ways, the fabrics of yesterday feel more relevant than ever.